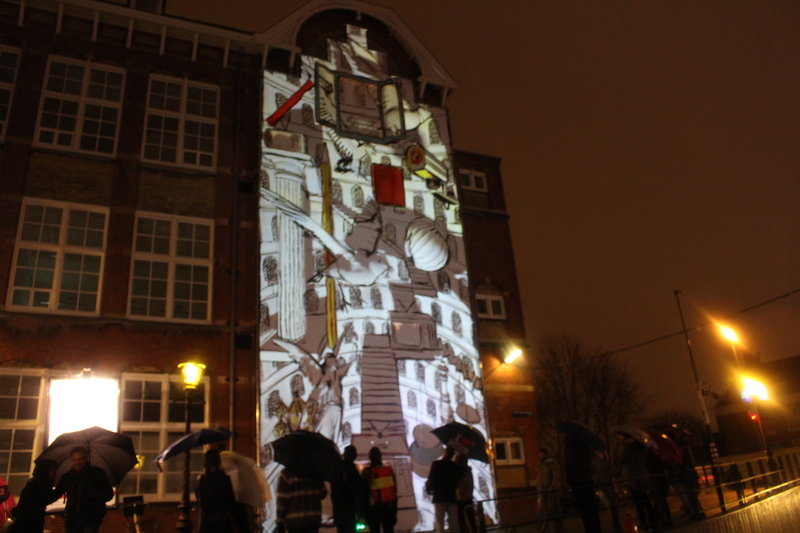 Light Festival Amsterdam- A Photowalk in Rain – Exploring Life.. The streets of Amsterdam are already decorated with lights for Christmas and adding to the city’s beauty is the Light Festival.This is how streets look like in Amsterdam now! 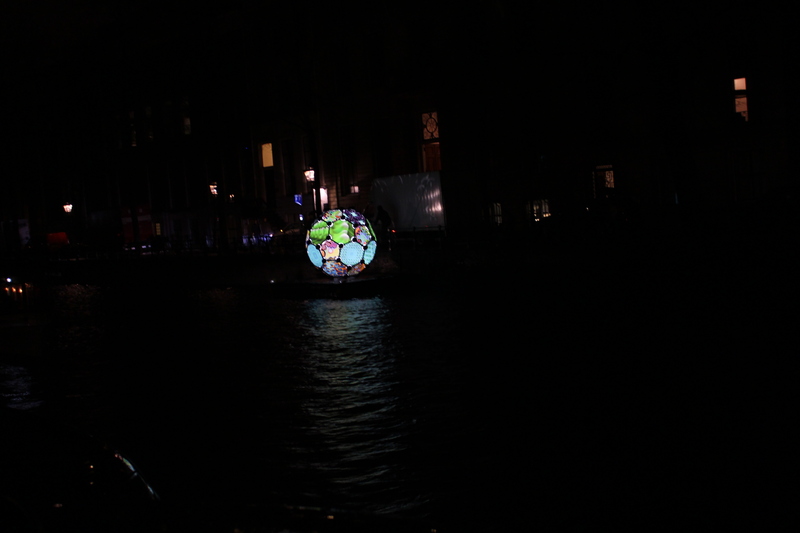 Artists come up with innovative ways of using lights to create an exciting art in the canals.This can be viewed using a boat tour or walking along the streets. There is “Amsterdam photography club ” which is formed by a group of photography enthusiasts.They organise meetups regularly and owing to the light festival they organised a photowalk. Around 100 people had signed up for the meetup but unfortunately that day it started raining heavily and about 80 people backed out. Twenty people finally turned up in the rain at the meeting point with umbrellas, DSLRs, Tripods and polybags to cover the camera. It was very messy clicking photos in the rain but as they say misery loves company, We were glad we were all in vein and wanted to really capture the light festival with people who shared similar interests. This was the “Polygonum” . This was called “Paths Crossing”. Artwork made from stretches of lights across the length of the canals. I did miss out on a few artworks. 😦 Hoping to cover them up in january after vacations. ← When we went Ice Skating !